OAKLAND -- Nearly a year to the day the Warriors will open their first-round matchup with the Clippers on Saturday evening, DeMarcus Cousins sat on the sidelines at Smoothie King Arena with a boot on his left foot. Cousins, then a member of the New Orleans Pelicans and three months after tearing his Achilles, watched his team beat the Trailblazers in Game 3 of the first round, in what would've been the first home playoff game of his career. Twelve months later, on the eve of his first career playoff start, the Warriors center says he's elated for the opportunity. "It's an exciting time for me," Cousins said following practice Friday morning. "I've been waiting for this opportunity for a long time." Cousins' time with the Warriors hasn't been smooth on the court. Following a rigorous Achilles rehab, the four-time All-Star didn't return to the court until January. In what coach Steve Kerr called a "training camp" period, Cousins, despite starting, didn't play more than 28 minutes per game over his first 13 appearances. As the season progressed, so did Cousins, averaging 18.0 points, 9.1 rebounds on 50.0 percent from the field over a nine-game stretch. However, Cousins' Golden State journey wasn't all roses, as his 3-point shot has dwindled while his foul count has gone up in recent weeks. When he signed his $5.2 million deal last summer, team brass warned Cousins that the process wouldn't be easy, considering his rehab and the need to integrate into the future Hall of Fame core of Stephen Curry, Klay Thompson, Draymond Green and Kevin Durant. "Obviously, it wasn't easy, which is something else we spoke on," Cousins said. "We figured it out, I think we're in a really good place. So things have worked out for the better." Over his last 12 games, Cousins is averaging 17.8 points, 9.1 rebounds on 50.8 percent from the field, including a 28-point, 13-rebound performance against the Denver Nuggets, helping the Warriors clinch the Western Conference's first seed. Prior to the season, the goal for Cousins was to show he could successfully recover from a torn Achilles, win a championship with the Warriors and get a big contract following a parade in downtown Oakland. For now, he seems to be on that track. "I'm not tip-top of where I've been at in my career but I'm definitely headed in the right direction," Cousins said. "I'm confident with my body, I'm confident in my movements. Everything is on the right path." 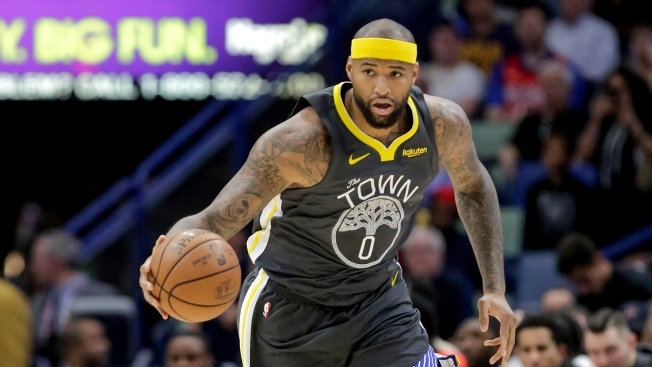 Entering his first postseason against the Clippers, Cousins will look to continue integrating well with the Warriors, and, most importantly, make the most of a playoff game he'll actually be participating in. "It's unfortunate what happened in New Orleans with the injury and everything," Cousins said. "But I'm excited for this moment and I plan on taking full advantage of it."